It’s good to have goals. In life, in business, and in field hockey. And today I’m going to show you how—and why–to set up goals in Google Analytics. Generally, we have a website because we want someone to take a desired action. Sign up for an email newsletter. Fill out a contact form. Register for a class. In other businesses you may have other goals. If you’re a real estate agent, you may people to view a certain number of houses. If you run a media company, you might be interested in how long people stay on your site watching videos. There are a number of goals we can set up in Google Analytics, but probably the most popular and easy to set up is the Destination Goal, so let’s look at that. The Destination Goal comes in handy when you want someone to complete an online form, like a contact form. Generally you send them to a special thank you page. Assuming there’s no other way to navigate to that page then you can assume that any traffic on this page came through the contact form. Now, let’s create that goal. In the admin section of Google Analytics click on Goals in the View column. Click on New Goal and you’ll see a number of goal templates you can choose from. In this case I’m going to choose Submit content, then choose Destination, as I’m measuring when they get to the thank you page. Next, put in the URL of the thank you page. Note that you don’t put the full URL, but only the slug that comes after the domain name. If you want, you can assign a value. 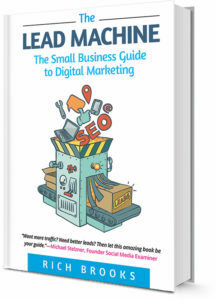 If the average customer is worth $100 to you, and one out of ten people who complete your form do business with you, then the lead is worth $10. For email signups, I often put in a value of $1 just…because. You can also include a funnel. This is helpful if you want people to visit a specific series of pages before getting to your thank you page. Once you’ve set up your goals you can test the conversion rate and then save it. With goals enabled, you’ll be able to get more meaningful information from your Google Analytics that can help you better focus your marketing efforts going forward. If you have any questions on setting up goals in your Google Analytics or really any Google Analytic related questions, feel free to ask them in the comments below. 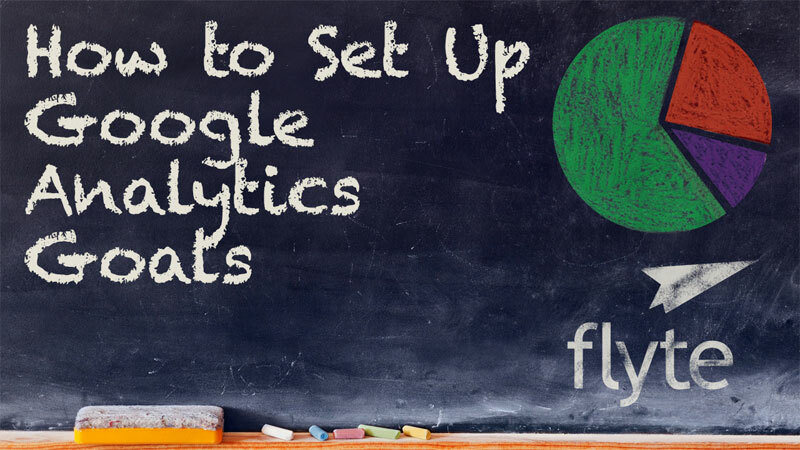 If you need help setting up Google Analytics on your own website, we’re here to help. Posted October 25, 2016 by Rich Brooks & filed under E-Commerce, flyte new media, Small Business, Web Marketing. Email Marketing Horror Story or Success Story?